Israeli ambassador to the U.S., Michael Oren, claims he was misquoted as saying Israeli-U.S. relations were at an all time low. Clinton toned down criticism by saying the two allies enjoy a "close, unshakable bond"
Jerusalem (CNN) -- Pressure on Israel to refrain from building housing in East Jerusalem is "not reasonable," Israeli Foreign Minister Avigdor Lieberman said Wednesday. "This demand which comes from the international community seems to be a kind of opportunity to jump all over Israel and put pressure on Israel and demand things which are not possible," Lieberman said in a news conference with the European Union's foreign policy chief, Baroness Catherine Ashton. Israel came under fire last week when it announced the planned construction of 1,600 new housing units in a disputed area of Jerusalem claimed by both Israelis and Palestinians during U.S. Vice President Joe Biden's visit to Israel. "This demand to stop Jews from buying or building in East Jerusalem is not reasonable," the foreign minister said Wednesday. If Israel prohibited Arabs from East Jerusalem from buying apartments in the western part of the city, it would be accused of being an "apartheid state," he said. "This symmetry is a symmetry that is not acceptable to me. We think that Jerusalem, as the capital of Israel, must be open to everyone -- to Muslims, to Christians and to Jews." He added, "Everyone is permitted to buy apartments and build where he wants, and there are not hundreds but thousands from the east of the city that are living in the Jewish neighborhoods ... in the west of the city. And that is what will continue." The United States harshly criticized Israel last week for announcing the planned construction of 1,600 new housing units in a disputed area of Jerusalem claimed by both Israelis and Palestinians during U.S. Vice President Joe Biden's visit to Israel. Two days before that announcement, U.S. Mideast envoy George Mitchell said Israel and the Palestinians had agreed to indirect peace talks mediated by him. Mitchell also asked both sides not to do anything provocative that would endanger the outcome of those talks. 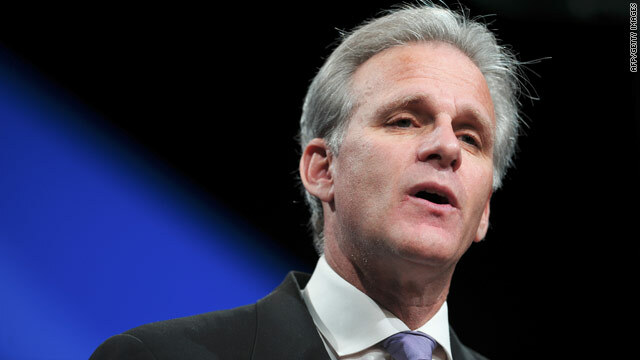 In addition, Michael Oren, Israel's ambassador to the United States, said Wednesday he did not make statements attributed to him about relations between his country and the United States being "in a crisis." "I was flagrantly misquoted about remarks I made in a confidential briefing this past Saturday," Oren said. "Recent events do not -- I repeat -- do not represent the lowest point in the relations between Israel and the United States. Though we differ on certain issues, our discussions are being conducted in an atmosphere of cooperation as befitting long-standing relations between allies. I am confident that we will overcome these differences shortly." The Israeli newspaper Haaretz said Oren made the comments in a conference call to the country's consuls general Saturday night. On Wednesday, Israeli President Shimon Peres hailed the strong U.S.-Israeli relationship while visiting a school in Holon, Israel, south of Tel Aviv. "I do not think the United States and Israel are interested in any tension," Peres said. "Between our two countries there exists a strong friendship grounded in our shared democratic values, our long history together and our common moral foundation rooted in the Bible." Peres said he is speaking with both U.S. officials and Israeli Prime Minister Benjamin Netanyahu to "reach an understanding" about recent events. "For us, the United States is a true friend," Peres said. "We have deep respect for its parliamentary and executive institutions, led by President Obama. We want these relations and are interested in returning them to their regular, positive state." U.S. Secretary of State Hillary Clinton last week called the timing of the Israeli housing announcement "insulting" to her country. Clinton on Tuesday toned down her criticism by telling reporters the two allies enjoy a "close, unshakable bond." She added the United States was waiting for a response from Israel on steps it is willing to take to demonstrate a commitment to the Mideast peace process. Specifically, the United States asked Israel to rescind the decision on the housing expansion, a U.S. official and an Israeli official said Monday. Netanyahu said Tuesday he was heartened by Clinton's latest remarks. "The state of Israel appreciates and esteems U.S. Secretary of State Hillary Clinton's warm remarks regarding the deep bond between the United States and Israel and the U.S. commitment to Israel's security," Netanyahu said in a statement. Netanyahu said Israel has proven its commitment in words and actions. It dismantled checkpoints and roadblocks in Judea and Samaria, the Israeli term for portions of the West Bank, and suspended new construction in the two areas for 10 months, he said. Netanyahu then blamed the Palestinians for issuing preconditions to resume diplomacy. The Palestinians were trying to delegitimize Israel internationally, he said. "They are also continuing to incite toward hatred and violence," he said. CNN's Kevin Flower, Jill Dougherty Elise Labott and Steve Kastenbaum contributed to this report.